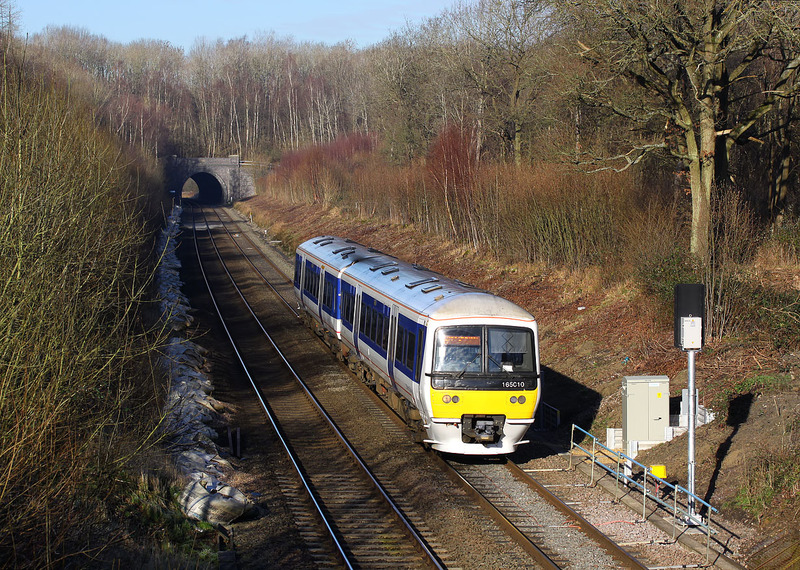 165010 heads through the wooded cutting to the south of the extremely short Brill Tunnel on 19 January 2016. It is working the 1H31 10:44 Banbury to Marylebone Chiltern Railways service. Considering this is only a month away from the shortest day, I was surprised that the shadows weren't more of a problem here.